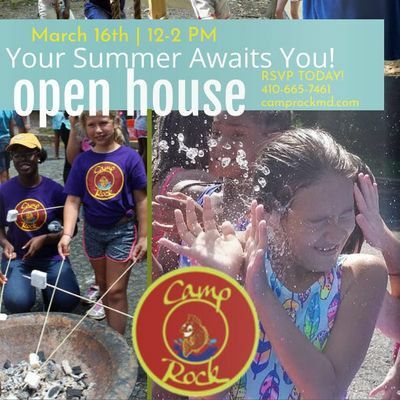 Come Check Out Camp Rock at Our Camp Open House on Saturday, March 16th from 12-2pm at Camp Rock. 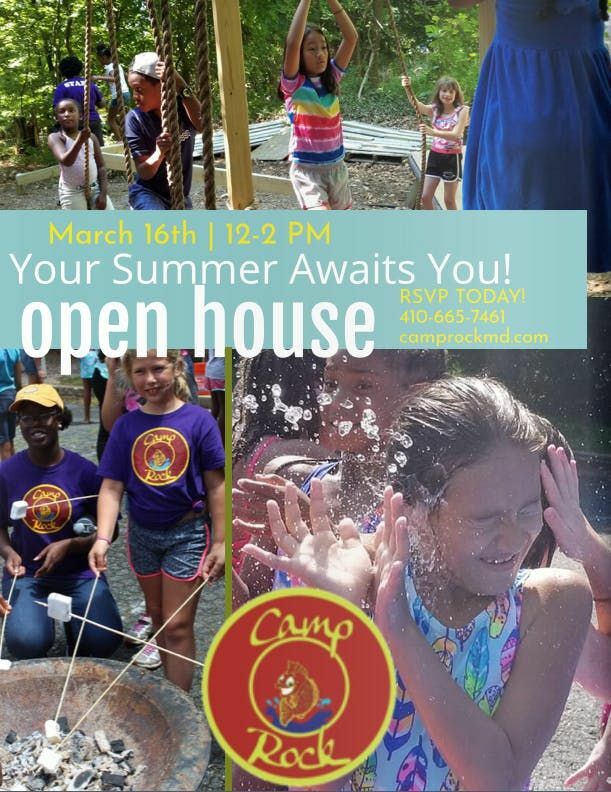 Tour Our Facility, Ask Questions, Enjoy Our Fun Family Friendly Activities, Meet Our Friendly Staff & Hosts of Volunteers as You Learn All About Our Great Summer Program! 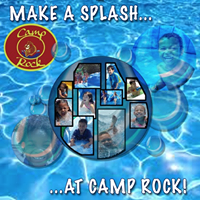 Camp Rock is a Weekly Themed Summer Camp for Children Ages 4-12 Operating June 10th Through August 23rd, 2019. Camp Rock is Conveniently Located off of 695 in the Towson/Parkville Area. Some of Our Weekly Camper Packages & Daily Activities Include Swimming, S.T.E.A.M Activities/Electives, Arts & Crafts, Whole Group Academics, Specialty Classes (Swim Lessons, Academic Support, Horsemanship, Makerspace Pro, Dance, Gymnastics, Culinary Arts, Art, Sports), All Inclusive Meals, Extended Care Services, and So Much More! Please RSVP to attend our Open House on Saturday, March 16th from 12-2 PM. Camp Rock is located at 1607 Cromwell Bridge Rd. Baltimore, MD 21234. If you are unable to attend, please call to schedule an appointment for registration, 410-665-7461.